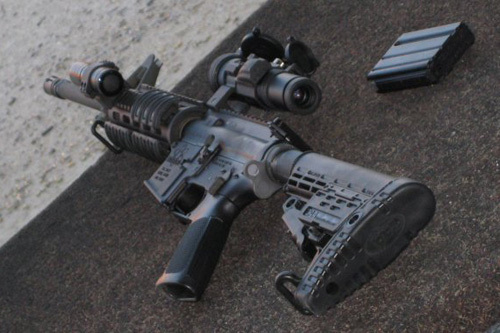 my friend is firearm heavy. 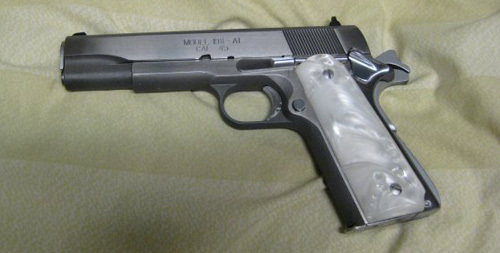 super conservative, nra, and everything that comes with. 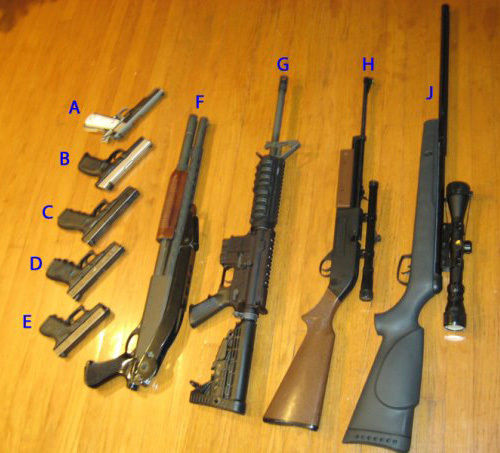 whatever your views, you can’t deny the beauty of these babies. here are some of the girls together. 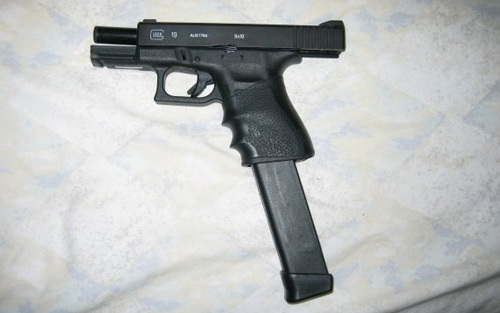 glock 19 with extended mag. 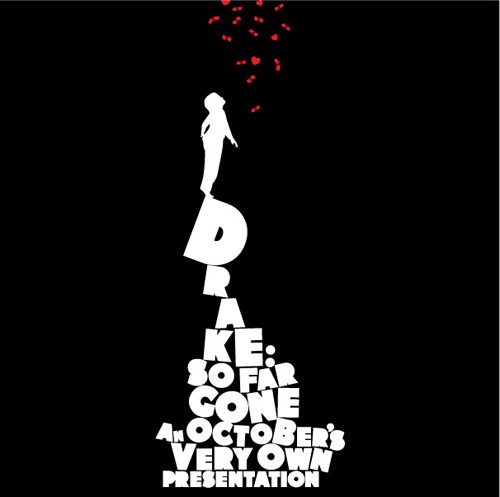 there has been a lot of buzz about this mixtape, “so far gone,” by canadian actor/rapper drake. lot of people on twitter been raving about it so i decided to download it. i gotta say it wasn’t quite what i expected. 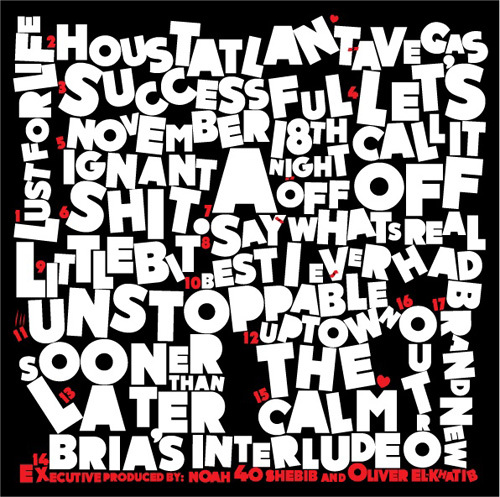 drake really likes to sing on many of the records but he does have an all-star supporting cast with the likes of lil wayne, trey songz, bun b, and lloyd. here are a few flicks for your viewing pleasure. 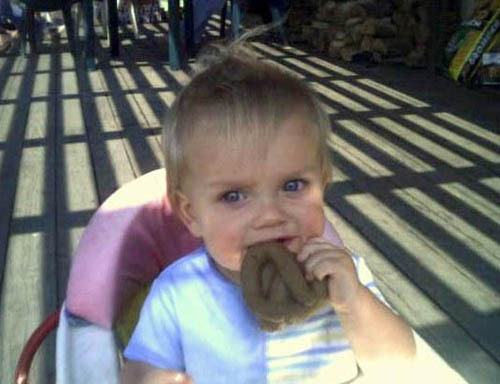 i don’t know if the poop is real but it is really sick. looks like a fresh, hot, steamy brown pretzel…yum? now you really don’t want to eat that pretzel i’m sure. it’s been a while since i had some spam musubi’s. i’ve had spam and rice in between that time but never in the musubi form. the first time i ever had it was from L&L hawaiian BBQ so i am kind of biased to that resturant. i was driving to my screen printers shop today and i had an urge to eat a musubi so i tracked one down on my iphone. let me tell you, the iphone is so useful. anyways, i go to the spot and got 2 orders (1 order is 2 spam musubi’s for $2.75). i pop open the container so i can get my grub on and the damn things look mad skimpy… the economy really be hurting people these days. either way, they look so delicious but they were wrapped in cellophane. why they gotta make me do all this extra work to eat my damn musubi? point of the story is that they definitely hit the spot. 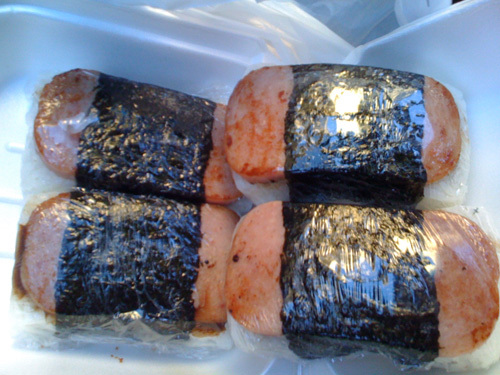 this is what the musubi’s looked like…they look shiny cause of the cellophane. nothing like some good snacks to go with a few cold beers. here are some of the goodies that i had along with some budweiser tall boys. the beef jerky is a requirement and the hot fries are a bonus. 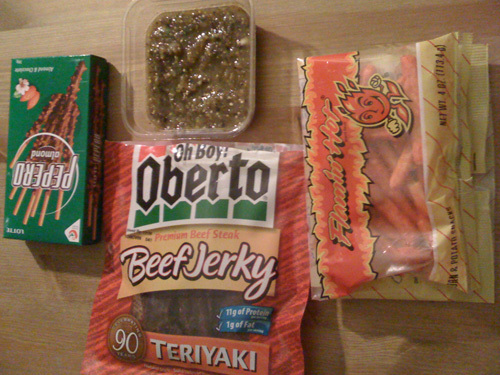 something i’m sure no one has ever tried before is the beef jerky with el taurino salsa verde. i just discovered this thing of beauty last night. i bet people go to el taurino thinking the burritos are what make it so desirable but it is really the sauce that sets it off. as you can see, i got a large cup of el taurino sauce in a different container. i used the beef jerky as if they were chips and dipped it in the sauce. let me tell you, that combo is just heavenly. i think that salsa would make bull testicles taste great. a group shot of the munchies. 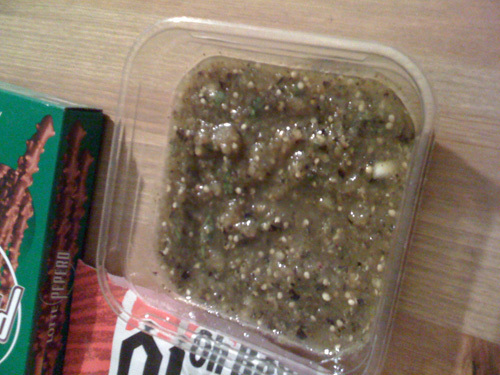 here is that crack they call salsa verde, i really think they sprinkle crack on the salsa. after all, el taurino is located in a known gang/crack neighborhood. even through this “recession” and “economic downturn,” people will still go out and buy things of want and not of necessity. if you are one of these people, as i can tend to be, here is a website that has coupon code for discounts ranging from free shipping to 50% off and more. type in the website and it will search it’s database for codes. they even got godaddy.com discounts. enjoy kids. i’m all about a meal to fill me up and taste great. some people have taken their culinary creativity to the next level of borderline disgusting. i’m a meat eater for sure but some of this stuff makes my stomach turn. 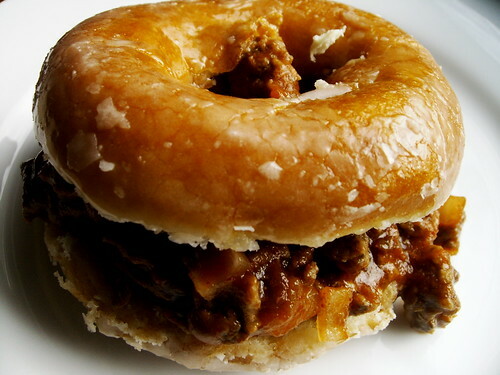 a sloppy joe on a krispy kreme donut? 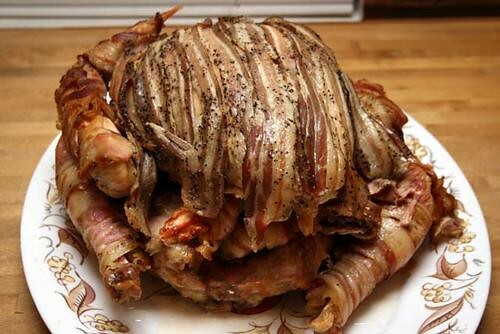 i know a lot of you have heard of the turducken during thanksgiving time. it’s a chicken inside of a duck which is inside of a turkey. well this here goes one better and wraps all that poultry goodness in bacon. does bacon really make everything better? i love my in-n-out burgers. i usually get a double-double and could possibly eat a 3×3 if i were every so hungry to try. 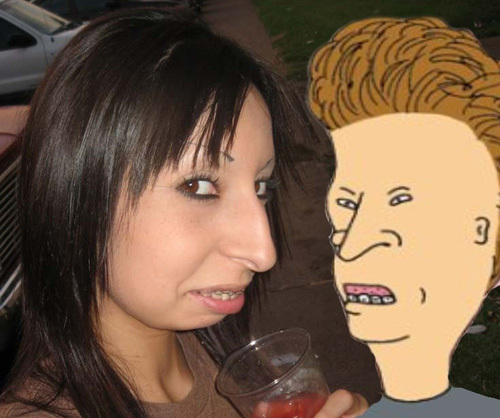 this one here is enough to feed a full house of frat boys. 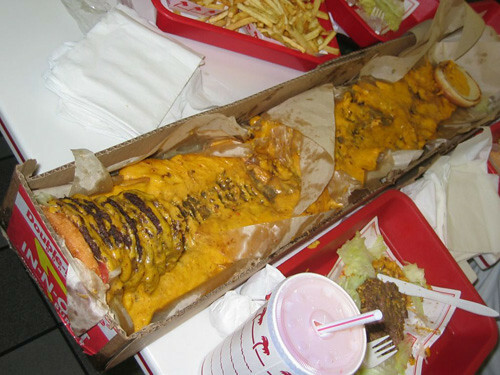 introducing the in-n-out 100×100. cost looks to be about $100.00.